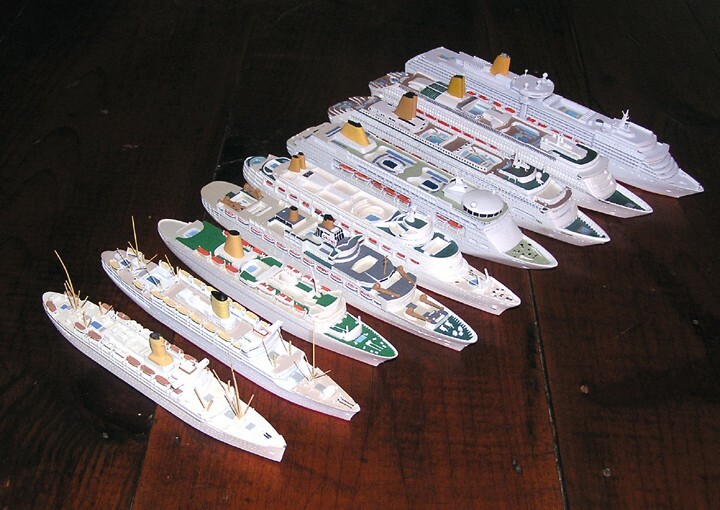 Model ships, model ship building and model ship clubs. Last edited by PoloUK; December 7th, 2013, 12:34. I'm really impressed with the progress and I feel very confident, that once completed, it'll be something as beautiful as the original once were. Keep us updated - I can't wait to see the final result. Looks absolutely superb. How long is that and what is it made of? Inspired by the awesome thread of the X-Bow ship model ( http://www.captainsvoyage-forum.com/...read.php?t=153 ), here is a thread to collect information and hopefully pictures of other projects. Though the X-Bow model is absolutley outstanding and deserves it's own thread, there are also many clubs and other models afloat and on shelves around the world: maybe particularly in shipping offices. One that is in my mind all the time, is the one of SS Norway which used to be in the Oslo NCL office in the 90's (today's location still unknown). Feel free to add other clubs, other pictures and stories as you know them. 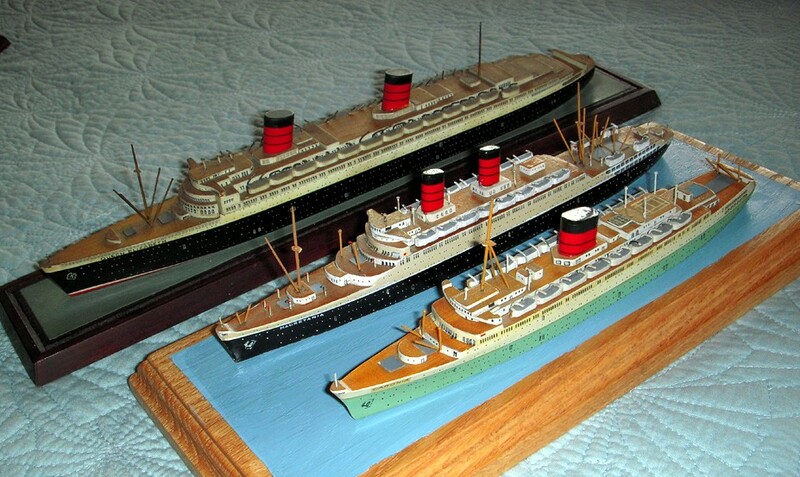 I am not really a model maker, more of a model collector, and basically only of liners and cruise ships. Here are a few of my models. And finally a case with different models of various scales. 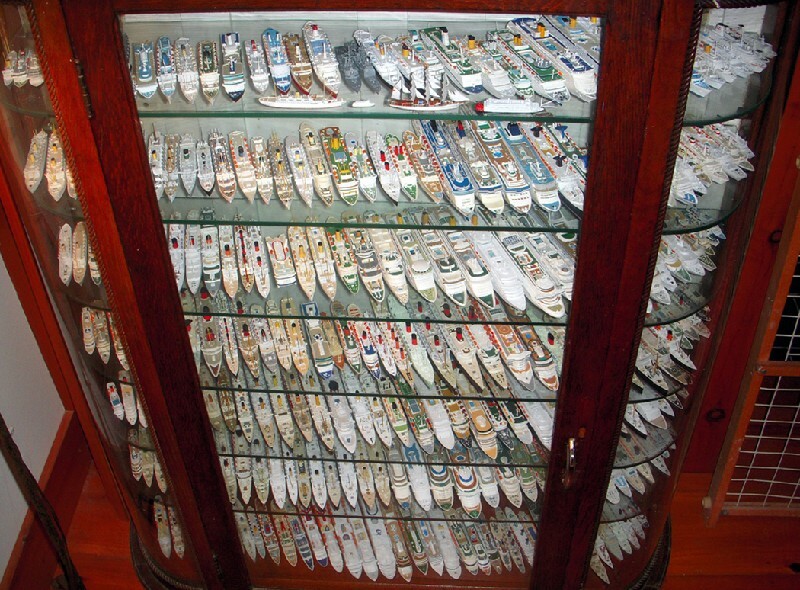 Your collection is one of the most amazing and spectacular collections I have ever seen. They are such a delight to see and I can't imagine how many hours of wonderful care-taking you have spent on gathering and maintaining that collection. WOW!! Absolutely amazing. What a collection! Thank you for the pictures of your collection. 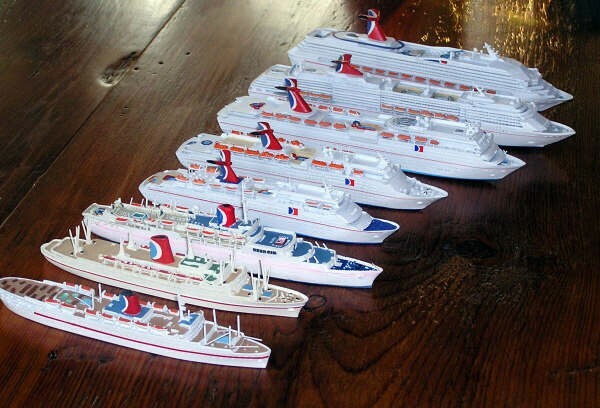 I find the line-up of RCCL ships most interesting. 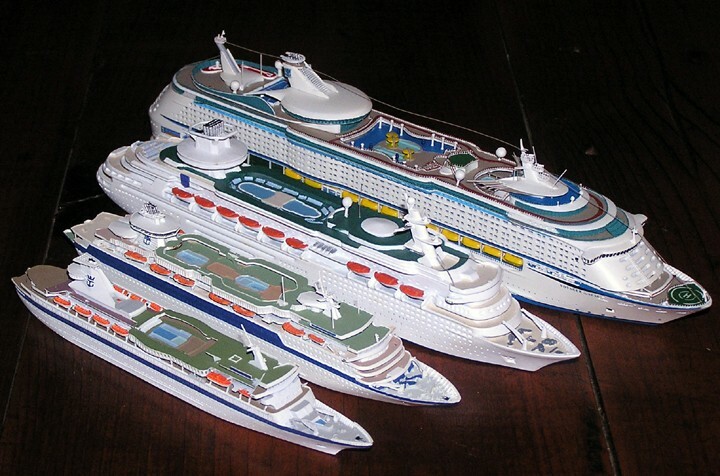 To me it really shows how cruising has changed over the years. 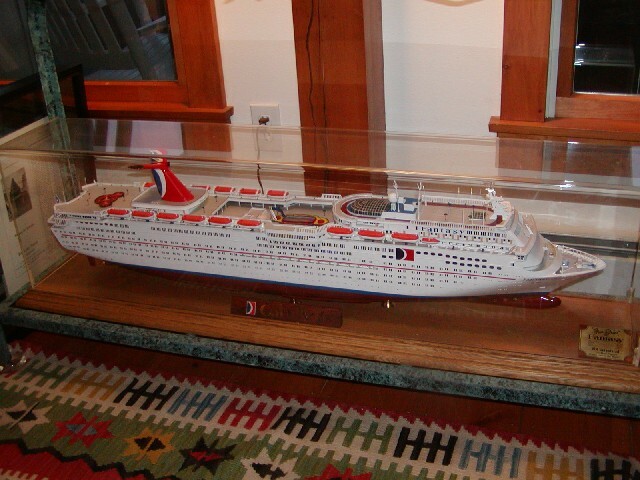 I see that this EBay seller has added a model of the SS France for $199 US Dollars. If only I had a place store/display her. Well if you are interested in a France model but only have limited space, maybe you should consider a 1:1250 scale model of her. CM-KR makes a nice metal model of her, CM-KR 260, available for 70.00 Euros in Germany or $94.00 here in the States. 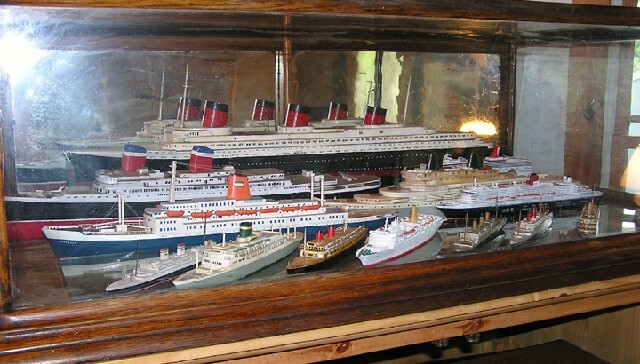 There is also a model of the Norway, CM-KR 270, by the same company, which is 74.00 Euros, but shows her after the 1996 Rehab. Last edited by Thaddeus; January 8th, 2009, 00:19. 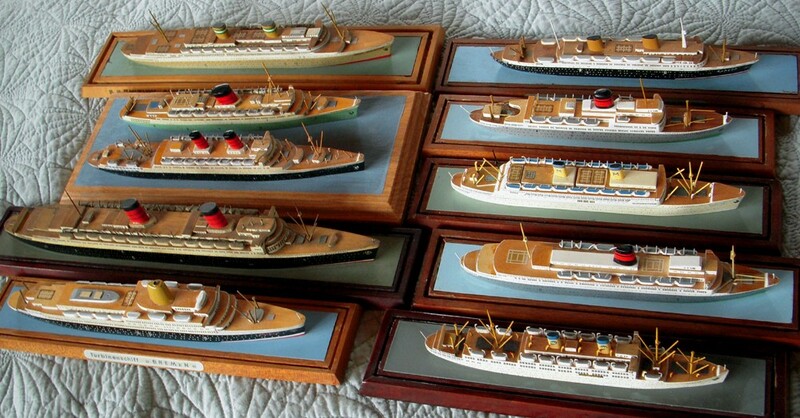 Now if money is less of an issue, but detail is paramount, Classic Ship Collection in Germany makes outstanding 1:1250 scale models in Waterline and Full Hull versions.